The Nike Air Max Speed Turf has its first retro release ever tomorrow so today we'll check out a card with some originals. Tomorrow sees the first ever retro release of the classic Nike football trainer, the Air Max Speed Turf, so today we break out a card with an original pair, along with the usual assortment of basketball cards. 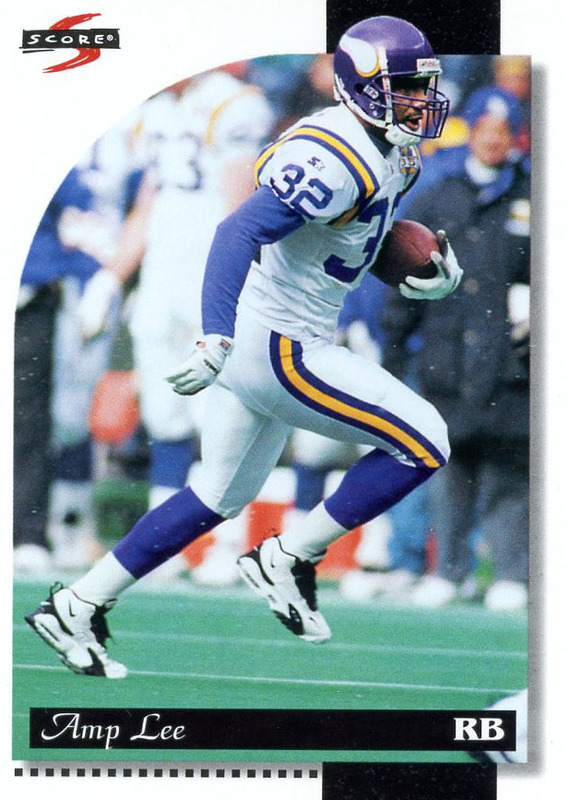 It's Amp Lee, former Minnesota Vikings running back, in the Speed Turfs, which are the reverse colorway of the Black/White version releasing tomorrow on Saturday, July 21. We see here that the Speed Turfs were a worthy shoe to be worn on game day on artificial turf, even in the snow. The Speed Turf was a shoe designed for Dan Marino, but was worn by any number of other pro football players, including in cleat form. 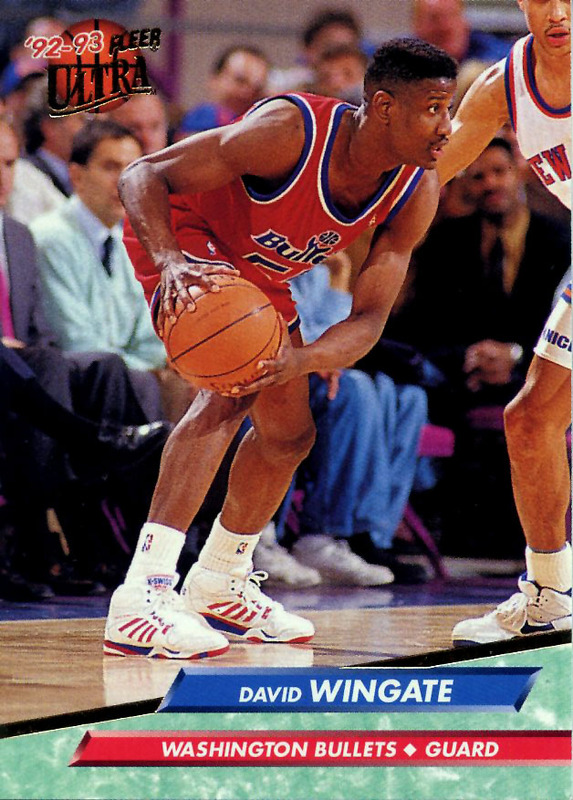 Next up is an obscure player in an obscure shoe: David Wingate in a pair of K-Swiss basketball shoes. 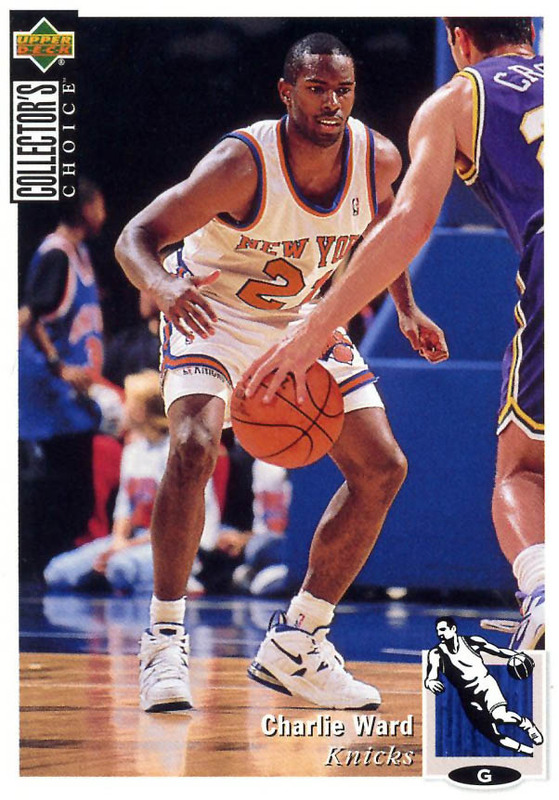 In the late 1980's and early 90's K-Swiss took a swing at basketball shoes and had a few random pros wearing their shoes, but it didn't last long. There have been some rough looking K-Swiss basketball shoes in the Kicks on Cards archives, but these ones actually look pretty nice. Would you rock them? 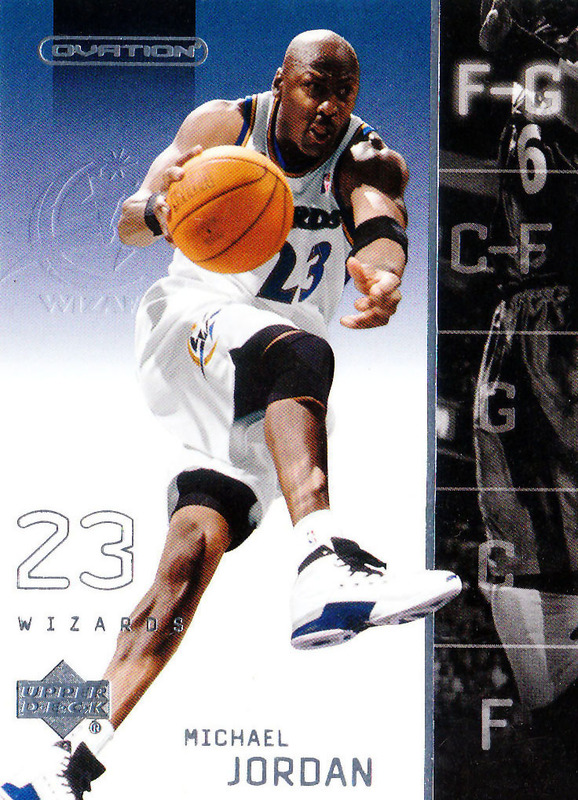 Old man Wizard Air Jordan is third in the collection this week in his beautiful White/College Blue Air Jordan XVII. 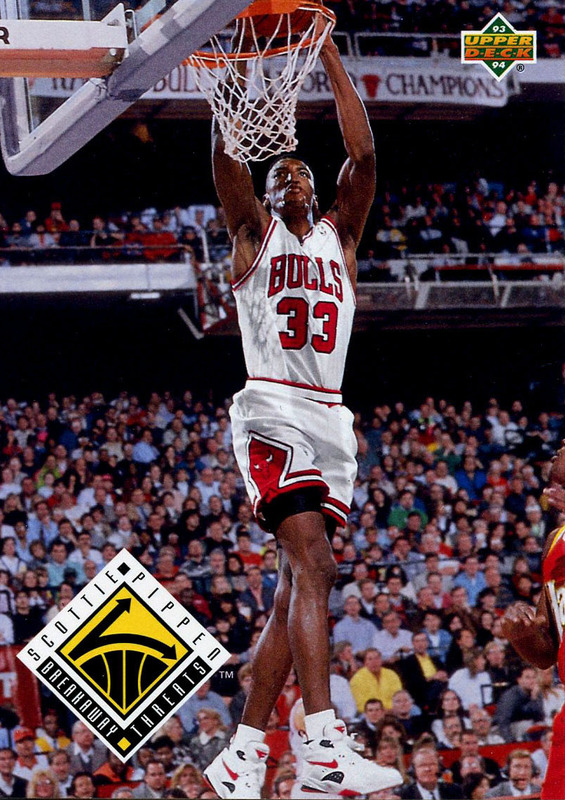 We finish up with two early 90's Nike Basketball standards with Scottie Pippen in a nice "Home" Bulls colorway of the Nike Air Maestro and Charlie Ward (who might have worn the Speed Turf at some point in his football career) in the Air Max Strong. Will you be picking up the Air Max Speed Turf this weekend? What's your favorite sighting this week? Discuss in the comments below.